It’s that time of the year again. The first HiNDU NiGHTS of 2013. It’s about having a good night out with your mates, it’s about Jack Daniels & Coke, it’s about lads who love football and birds adoring Alex Turner and Miles Kane, it’s about looking forward to the summer festivals or the deserted Northern beaches of Ibiza. It’s about peace & love, The Beatles and the Sixties in general. But it’s also about madness, about an atmosphere as if you were on the front row of a Kasabian or Oasis gig in Scotland. 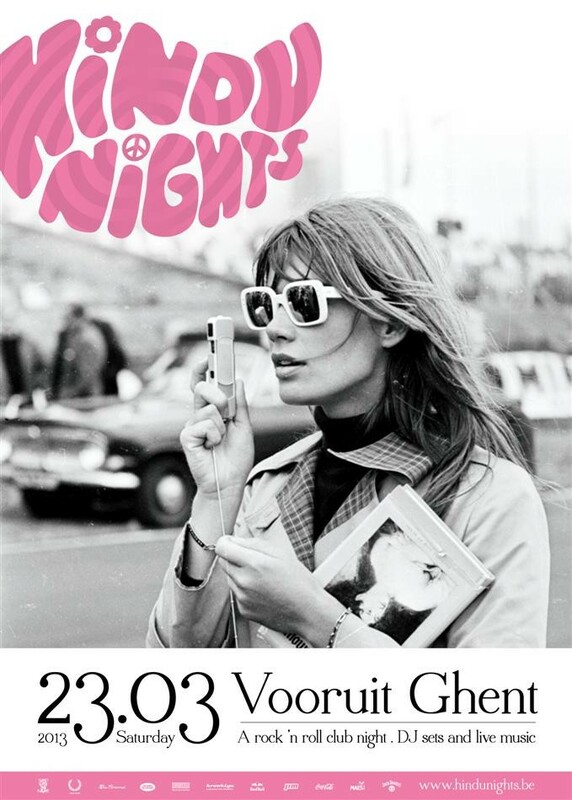 After 5 years of sold out nights in the biggest venues of Ghent, Antwerp and Leuven, Hindu Nights has become the embodiment of all things rock ’n roll, which will be culminating in another long night in the famous Concert Hall of Vooruit Ghent.